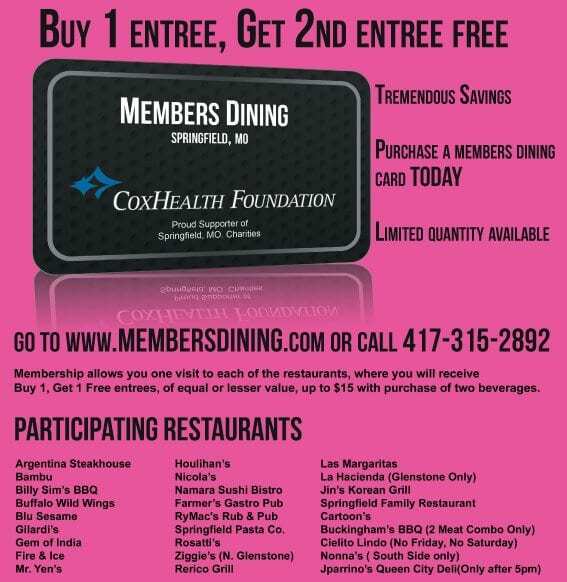 Enjoy buy one get one deals at 27 local restaurants with your Members Dining Card. The cards are $25, payroll deduction available for CoxHealth employees. There is no expiration date, the card is good as long as it takes the owner of the card to go to each restaurant once. Buy one get one up to $15 value with purchase of two beverages.